Digging through backlogged collections is fun. I always seen to unearth a photo, negative or slide that eluded my initial passover. 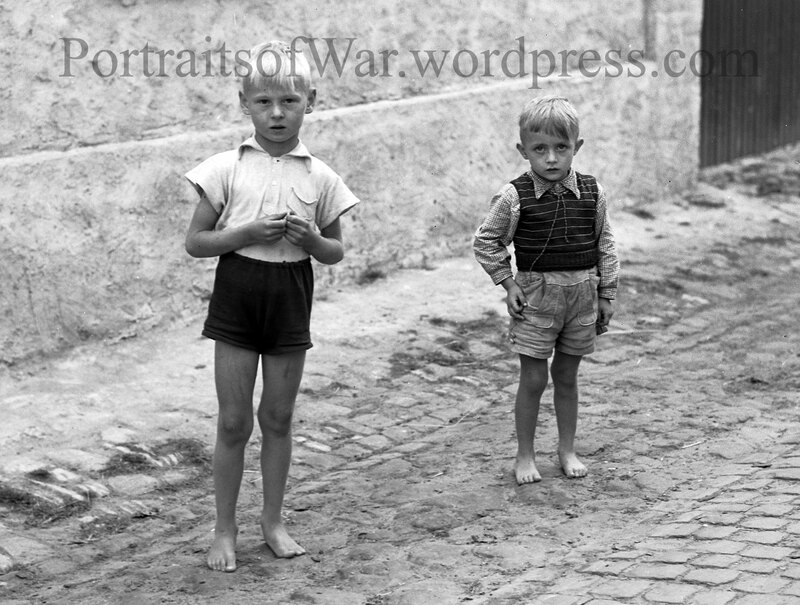 In this case, I found a poignant negative from 1945-1947 showing two barefoot children who survived the war somewhere near Munich. The photographer (unknown) had quite the eye for detail as evidenced in his 400+ negatives in my collection. ← Winooski, VT WWI Veteran Photo Identification – eBay Photo Yields Vermont History Golden Research! Not sure what you’re trying to say?